Uproar followed comments by the Italian president of the European Parliament in qualified praise of Mussolini. They raise big questions about the direction of the European centre right. March 23rd marked the centenary of the establishment of the Italian fasci of combat, Benito Mussolini’s fascist movement. It later became the National Fascist Party, paving the way to dictatorship through direct violence against opponents. All over the country neo-fascists organised memorials or demonstrations to ‘celebrate’ this historical event and reject any idea of anti-fascism. Some voices claimed they felt protected by Italy’s current far-right and demagogic government. The problem is that rehabilitation of interwar fascism is not confined to extremist fringes. Some days earlier, Antonio Tajani, a ‘moderate’ politician from Silvio Berlusconi’s centre-right Forza Italia—principal Italian member of the European People’s Party (EPP)—and, most importantly, the president of the European Parliament, caused an international storm by declaring that interwar fascism did some positive things. In a radio interview, he said that, apart from some very negative issues—such as the war declaration and the anti-Semitic legislation—the dictator Mussolini had been able ‘to create infrastructures for our country’. He continued: ‘In terms of the concrete things done, you cannot say he didn’t do anything,’ listing ‘roads, bridges, buildings [and] sport facilities’ among others. Perversely, Tajani countered that he was not ashamed: ‘Shame on those who manipulate what I’ve allegedly said on fascism. I’ve always been a convinced anti-fascist, I will not allow anyone to suggest otherwise.’ He seems not to have been aware of the dangerous banality of his earlier declaration. Italy has never really come to terms with its fascist (and colonial) past. The self-portrait of the ‘good Italian’ (compared with its once fascist German ally) is still extremely powerful. A shifting public memory, the decline of anti-fascism (at a European level too) and the rise of Berlusconi a couple of decades ago have all contributed to the normalisation—even legitimisation—of interwar fascism. This is problematic not only because of Italy’s far-right cabinet and the fascist tendencies and violence which were on the rise in the 2018 elections. Too quickly people tend to forget that Berlusconi made some similar statements and governed with the neo-fascists and the Lega. Alessandra Mussolini, grand-daughter of Benito, is moreover an EPP MEP who until recently represented his ‘moderate’ party and always defends the memory of her grandfather—though this never created huge scandals in Italy or abroad. Before the Italian election of March 2018, EPP leaders even considered Berlusconi a real ‘barrier’ against the growth of anti-EU populist forces in Italy. But this is simply another example of the rightward turn some European centre-right political forces have been taking. Some of its leaders are happy to forge alliances eventually with the anti-European and anti-immigrant right-wing nationalists (including after the European Parliament elections in May). This is perfectly in line with the electoral policy of the Italian centre right. After the declaration on fascism, Tajani actually met the leaders of the Lega and the far-right Fratelli d’Italia to reinforce their (traditional) alliance ahead of the local elections this spring. If the EU wants to prosper it needs new and innovative visions. But leading pro-European centre-right movements cannot mirror the anti-EU forces or pay respect to authoritarian heroes. In the interwar years, when conservatives supported or believed they could control the fascists, it did not go well for them or for democracy. 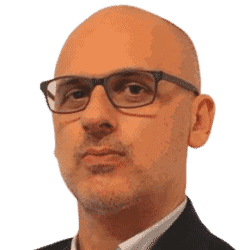 Andrea Mammone is a visiting fellow in the Robert Schuman Centre at the European University Institute and a historian of modern Europe at Royal Holloway, University of London. He is an expert on the far right, nationalism and European politics.